I did a bit of research trying to buy Robot Banners, Plates etc but this little party wasn't going to be easy. On Good Friday, as a family, we sat outside in the sun and started on our first Robot. With the help of family and friends on Facebook we managed to get lots of peoples junk out of their garages that became our Robot treasures. We started with a table full of odds and ends and ended up with what we called Robert Robot. I found at a local junk store Robot Plates, Serviettes and Cups, but Austin had a better idea and thought we could make Robot Cup Holders for everyone. So the weekend before his party we ate lots of fruit salad and baked beans so we had tin cans and set to making Robot Cup Holders. These were so much fun to make, bolts, screws, hinges and lots of our treasures hot glued on to the cans then spray painted. Table settings - Each child had a unique cup holder, plate, serviette, party hat. I got my kids involved in more robot making. We made a trip to the local Lolly Shop where we got lollies to make our own Robots. We use nerds, Sour Bombs, Chewing Gum Sticks and Gum Balls glued them together and added plastic eyes. 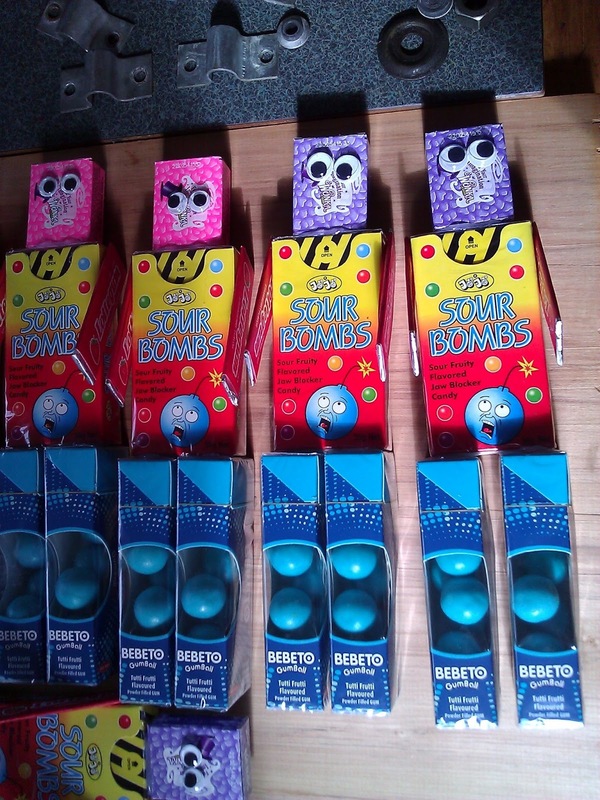 These were a huge hit with the kids. I usually buy banner and themed decorations but I couldn't source them anywhere at a reasonable cost so we went around garage sales, markets and asked friends and ended up with some very cool robots that we had robot races with. I brought an extra Robot table cloth for $2.00 which I cut the robots off for banners in the lounge. We also found on our travels a robot white board that I wrote Happy birthday Austin onto. The boys and I made a Robot Piñata Unfortunately it was pouring down with rain so we had to set it up in the conservatory but we still had heaps of fun. Last game was making robots in a team. My older boys were Robot Leaders helping the younger kids. I was amazed at how well they did. 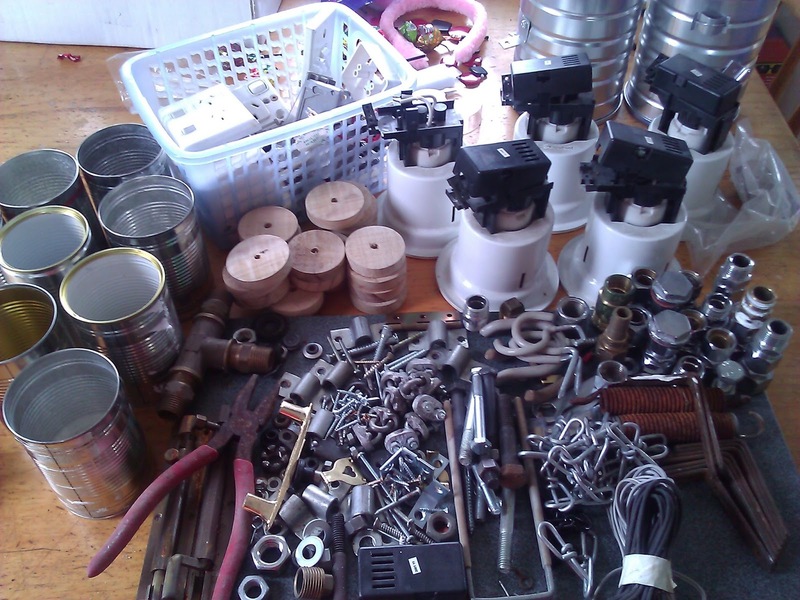 During the week I went to creative junk and filled a bag with junk for $8.00. I made two Robot Buckets and filled each one with creative junk, cellotape and scissors. Robot Creations created in 10 minutes. We also played the Chocolate Game, where you have to roll a six on the dice and each as much chocolate one piece at a time with a Robot head on. As a back up game I brought two large Robot Floor Puzzles to have races but we run out of time so we will have some fun with these during the school holidays. These Robot (Grabba Pop) hands were a huge success. Such a great boy toy! We all had an amazing time at Austin's Robot Party. The kids all got on so well and were very tired when they were picked up to go home. Austin gave them a little thank you for coming. One of Austin's little friends was very excited about coming to his party but had a little accident getting into the car and ended up in A & E. After everyone had gone home Reuben came around to see Austin which made his day. They have been friends since Kindy. Austin was happy to see Reuben was much better and the Drs had fixed him up. Another amazing birthday party. 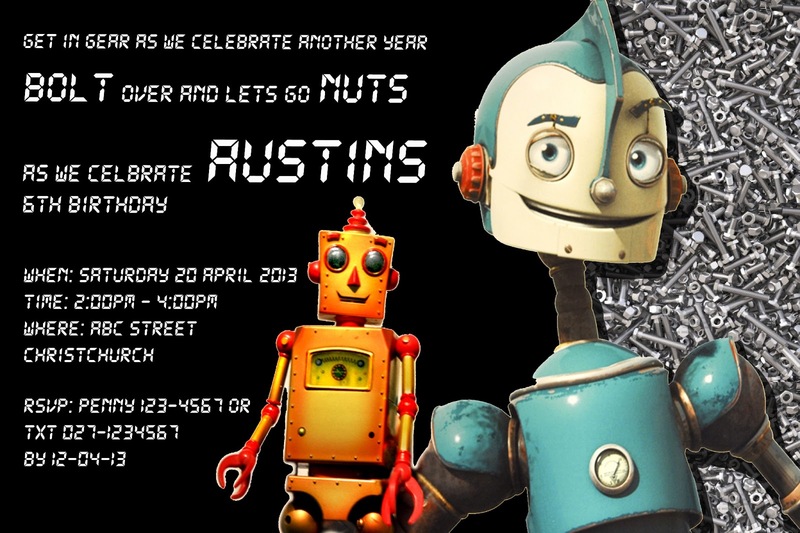 Happy birthday Austin, you are so lucky to have such wonderfully creative parents. So very thorough and cute!